NDoc Home Health Billing Software & Patient Care | Thornberry Ltd.
NDoc software is an award-winning home healthcare solution designed to improve quality of care, financial performance, and operational control. 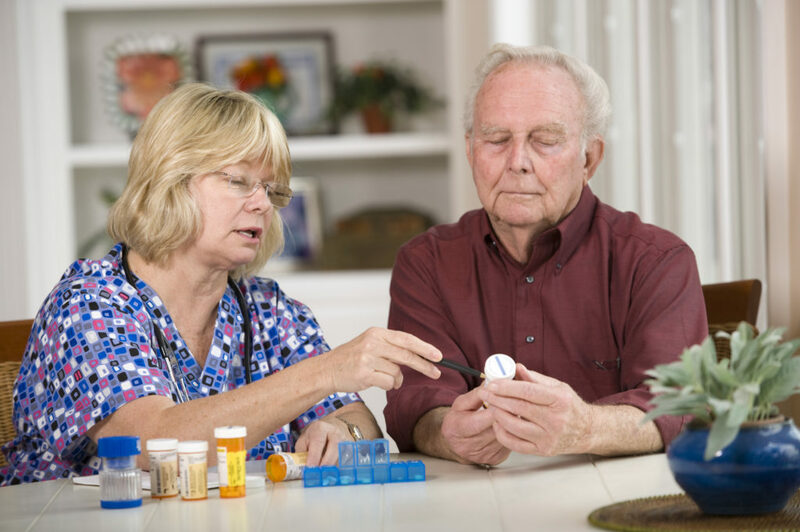 As you would expect from top homecare software, NDoc is straightforward and easy to use. Designed with home health workflows in mind, NDoc’s easy-to-follow navigation and data organization enhances patient care and employee retention. Instant “anywhere” access to the entire patient record enables true interdisciplinary care. Powerful self-maintaining care plan is customized to every patient, updated automatically with every visit and driven by embedded “best practice” logic. 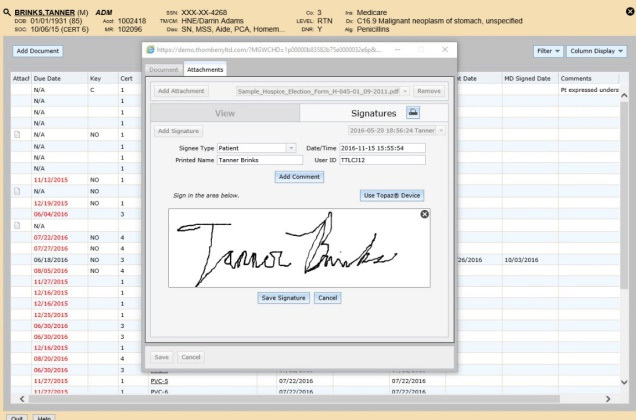 Single-click access to documents is available across all locations including field devices. Automated billing cycles generate claims quickly and efficiently, a standard function of NDoc’s home health billing software. NDoc is medicare-certified home health software which provides clinicians with access to the most current clinical information and data at the point of care while helping your clinicians stay compliant, manage their workflow and maintain 100% consistency in documentation throughout the episode of care. PPS billing is automatically generated once all ‘ready to bill’ criteria has been met, including criteria customized to your agency. Patient care documentation is streamlined using a color-coded guide that is both focused and compliant. OASIS submissions are clean and compliant, the automatic byproduct of NDoc’s comprehensive patient assessments. QA is ensured through real-time prompts for patient improvement, stabilization or decline. Workflow is key to maximizing efficiency, but it can’t be “one size fits all.” If the workflow is too strict, patient care suffers as your staff waits for bottlenecks in workflow to break free. NDoc allows the best of both worlds – you have workflow that conforms to your environment instead of dictating it. Configure hard or soft stops that prevent (or allow) scheduling visits without insurance or physician authorization. Schedule centrally, in the field or a combination of both. Exact matches based on your custom criteria lead to efficient resource management. 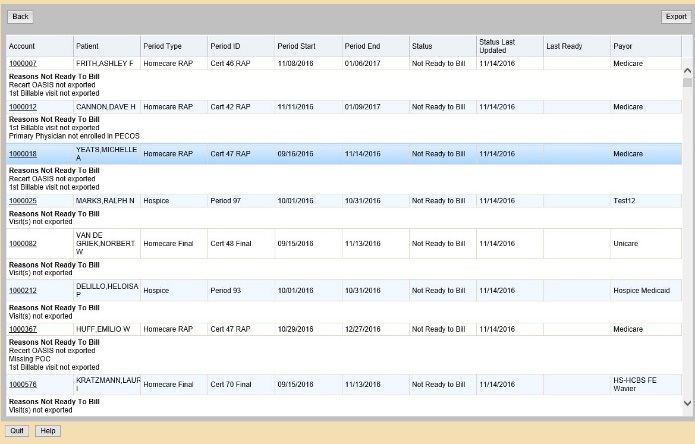 Customize NDoc to your agency using tables, settings and field requirements. Collect payments quicker for both electronic and paper claims through billing that is automated and customizable. Manage aides using one of the numerous telephone and mobile options available. 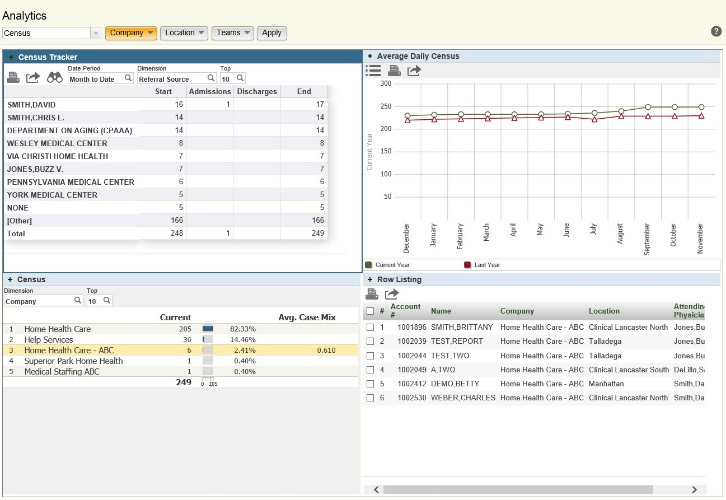 NDoc analytics gives you important insight into your data. Powered by InterSystems DeepSee™, NDoc analytics provides global views, drill-down charts and KPIs to integrated clinical and financial information that helps you manage your agency more effectively. Know everything you need to know about your patients and your agency in an easy-to-understand dashboard. Combine performance, OASIS, billing and staff activities for overall business insight. Use trends, points-in-time and forecast data to make educated decisions about your business operations. Forecast and view financial and statistical trends. 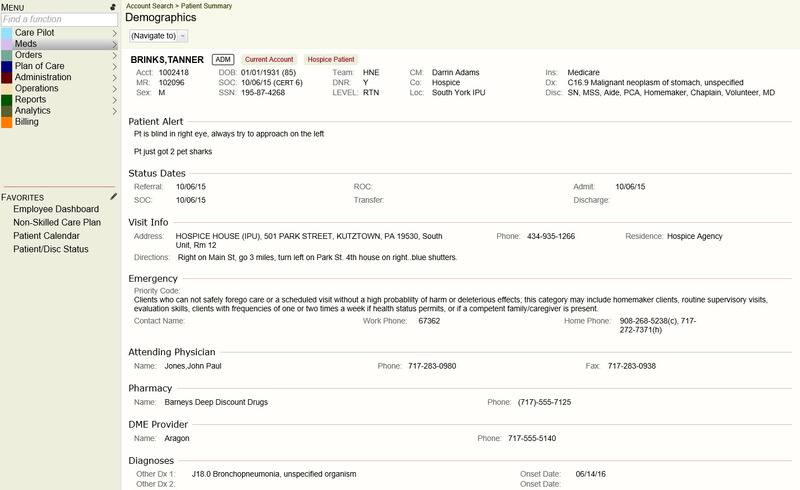 Turn data into action – make treatment adjustments during episodes of care. 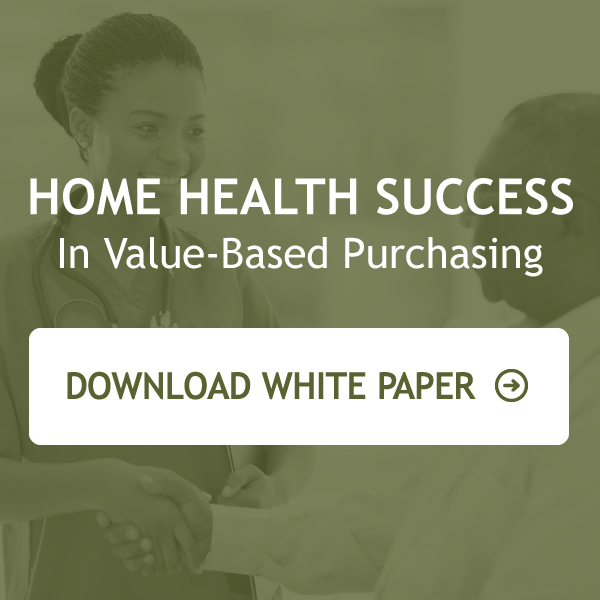 Interoperability has the power to transform your home health and hospice agency by enabling smoother transitions of care by providing home health integration with the medical community. NDoc makes interoperability a reality by processing the C-CDA CCD and its content directly into NDoc. Transform your agency by enabling smoother transitions of care. 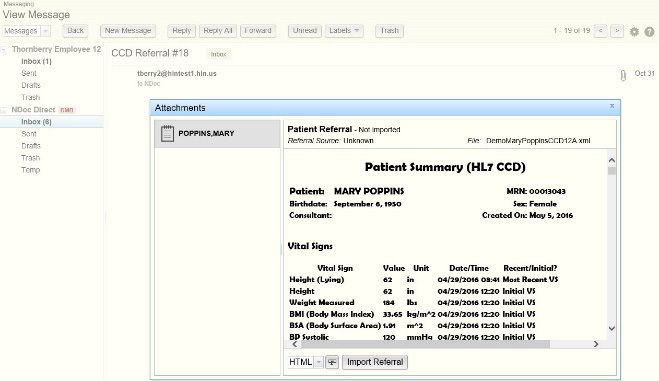 Streamline the intake process as never before— automatically populate your patient referral with the medication profile of your referral source, saving time and ensuring patient safety. Reduce administrative stress while ensuring patients receive correct care wherever they are. Automatically gather, package and send data throughout the care continuum.